Integrate live sessions / webinars within your course. You can now monetise your live classes by embedding them within your course. 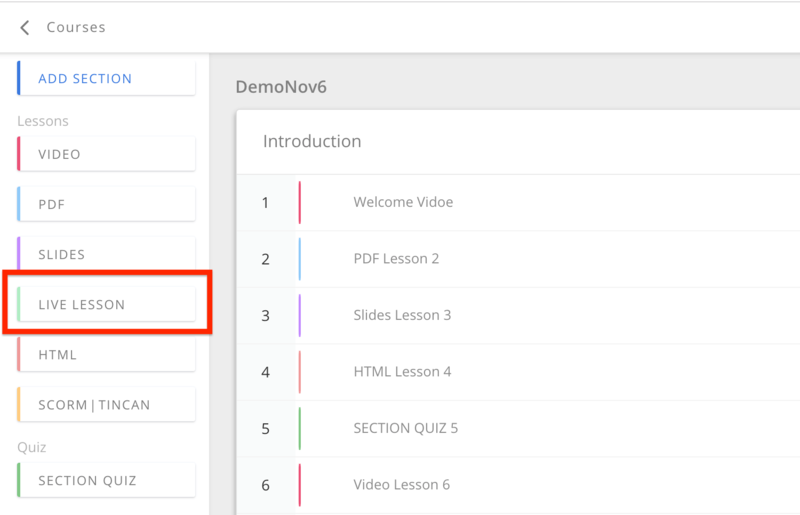 To create live lessons, click on "Live Lesson" within course builder. In "Create Live Lesson" builder, add relevant lesson title & choose live tool source. and choose scheduled start time and end time. Please note that you will have to manually synchronise scheduled live time with your third party live streaming tool. For example, we will choose YouTube Live. To access YouTube live, login to your YouTube account and click on Live icon or access www.youtube.com/webcam. In YouTube Live interface, setup live session and copy embed code provided in YouTube Live. To get embed code click on "SHARE" and "EMBED" link. 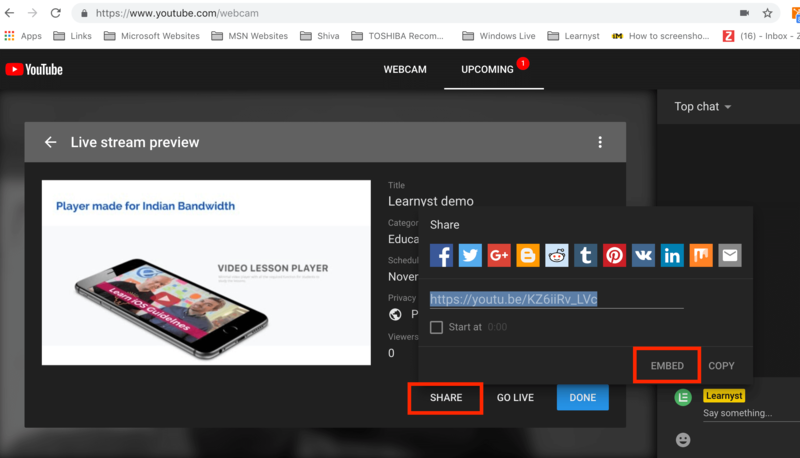 Note: Following third party tools like YouTube Live, Ustream, Live Stream, Adobe Connect, Twitch provides embed code option. 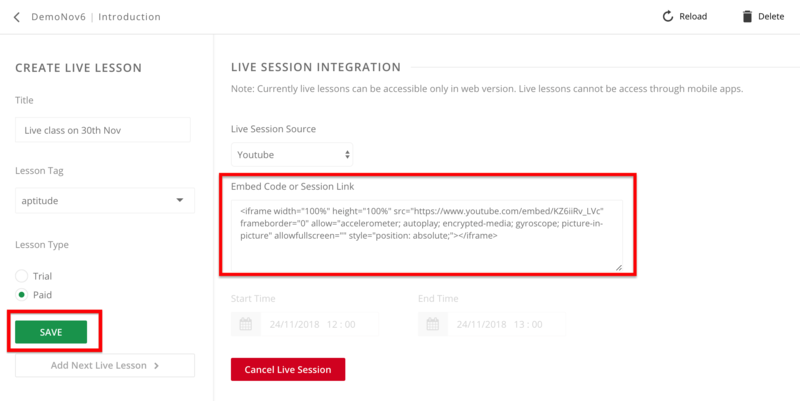 Paste embed code from YouTube Live or any other tool and put it in "Embed Code or Session Link" input box in "Create Live Lesson" builder. If your third party live streaming tool does not support embed code, then just copy paste live session URL within "Embed Code or Session Link" input box. After adding required details, please click on "Save" button in "Create Live Lesson" builder. 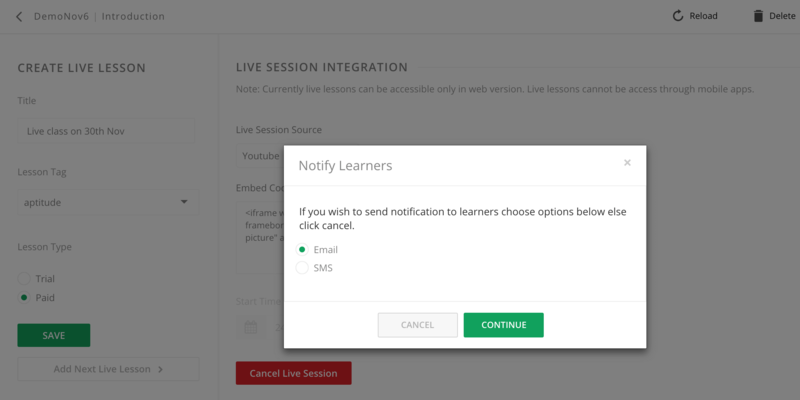 Upon Save, system will prompt if you would like to send email or SMS notification about this scheduled live lesson to your learners. If you wish to send notification click on "Continue" else click on "Cancel". At the time of starting live class, you will have to login to live class tool and start your scheduled live class. 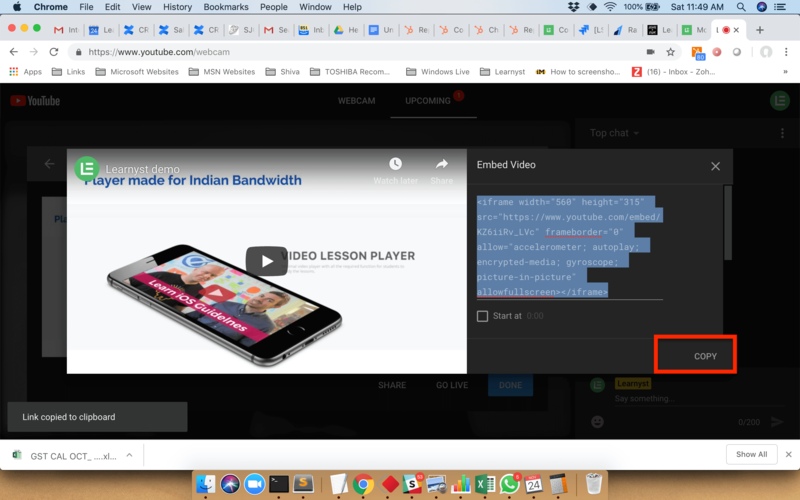 Considering YouTube live as example, below is the screen shot of learner interface accessing YouTube live session within the course player. As you can see, your live class can be viewed by learners who have purchased/enrolled to your live class course.